What’s the state of Internet marketing in Europe, and what are the biggest needs among EU marketers? 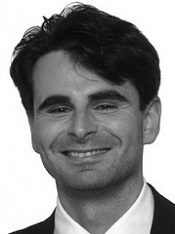 In this interview, Ale Agostini, head of Bruce Clay, Inc. Europe, weighs in from a first-hand perspective. According to Agostini, the biggest need among European marketers is for solid SEO training — because companies that understand Internet marketing the best, succeed the most — especially in Europe’s complex multilingual market. Here in the U.S., we may take for granted the wealth of training opportunities, conferences, and expert information sources available. But marketing in another country and language can be quite different. Search engines roll out updates on a delayed schedule, translated information may be slow in coming, and the number of search industry conferences is still low in comparison. To help fill the need, Bruce Clay, Inc. Europe will put on a special two-day SEOToolSet® Training in Milan, Italy July 2–3. This event is specially geared for search marketers from Italy, Germany, UK, Holland, France and across Europe, and features Bruce Clay himself as the instructor. You head up the European office of Bruce Clay, Inc. Do you serve clients throughout Europe, and what types of services do you offer? We serve clients in eight different countries in Europe, mainly Italy, UK, Holland, Germany and Switzerland; our clients are usually medium to large companies that take full advantage of online marketing to boost their business (on and offline). Our office is in Switzerland because it’s the only country in Europe with three official languages (German, French, Italian) matching the three biggest EU markets. Our client base is very wide and goes from innovative ecommerce and online services to “brick and mortar” business websites. What are the greatest needs you see among new clients? Companies need online branding, traffic and conversions, but often they do not have the people who can do the job; that’s why we provide different types of Internet marketing services, from SEO, PPC, Google+, ORM and YouTube marketing to usability and conversion optimization. Our services are offered in all the main EU languages. Normally we have a very strong loyalty index among our clients. Most of our SEO clients have increased their organic traffic at least by 100% in a semester of work. The biggest need I see overall is for EU marketers to understand what they are buying. Usually, clients who understand our work have a higher return on investment on their Internet marketing expenses. That’s why I often attend conferences and provide trainings. What can you say about the state of SEO in Europe? The switch from traditional advertising to online advertising is moving forward, leading to an increased interest in search engine marketing. Small business owners want to reach more targeted consumers with alternative selling channels; business owners realize that PPC and SEO investments are the most effective ways to drive business on and offline. What’s your perspective on the European Court’s recent “Right To Be Forgotten” ruling? RTF (Right To Be Forgotten) might create huge trouble for Google and the online players (social media). Focusing on search, EU governments are considering what information people can force Google and other search engines to remove from results. The so-called “take-down requests” will need to be somehow integrated into search engine algorithms. The German ministry has already said that talks with Google and other engines will begin once the government has finalized its position. Nevertheless, we should consider that Europe still has many countries that could each produce different legislation — so how many “RTF algorithm patches” will we need? Will they be “global” or at the TLD country/language level? How will the arbitration system work for Right-To-Be-Forgotten complaints? And who will lead & rule this “information bureau” or “censorship court” that will officially decide what information can and cannot reside in the corpus of search results? On the other hand, Right To Be Forgotten will be a great opportunity for IT lawyers that might be involved. Since the Google algorithm updates rolled out in May, have you seen any effect in European search results? Panda 4.0 is brand new and we are still analyzing its impact and constantly monitoring Google SERPs. None of our clients have registered any associated SEO loss so far, though we have received some new-client inquiries related to Panda from prospects that use a lot of press releases. I think we’ll have some extra findings by the end of June, in time for our SEO training in Milan. 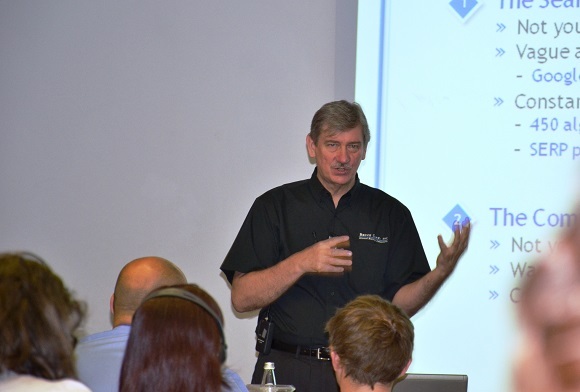 Bruce Clay is coming to Europe to personally give his highly acclaimed SEOToolSet® Training in Milan July 2–3. How will this training work? This is a very enlightening and advanced program condensed into a two-day SEO course. We will cover the basics plus the latest SEO trends, from Panda 4.0 up to semantic web. Note: Milan is a very interesting city the first week in July. There are some big shopping events going on that attract people (normally women, but do not ask me why… :) ) from all over Europe. Bruce Clay provides SEO training around the world. The primary audience for our SEOToolSet Training class is marketing managers, web designers, webmasters and business owners, because they need to understand how natural rankings and paid search on Google really work. In recent years, we’ve also noticed an increased interest from copywriters who, after typically working in offline environments, find that the process of writing for the web (with SEO in mind) requires a totally different skill set. What benefits will students receive during the two-day course and afterwards? Great training, good networking (we have some great companies attending like Priceline, Panasonic, Generali and Lavazza), awesome food, excellent freshly brewed espresso (I hope from Lavazza), course materials on SEO, and powerful SEO tools. Our course includes a subscription to our latest version SEOToolSet®, so attendees will be able to continue using advanced and fast SEO power tools. 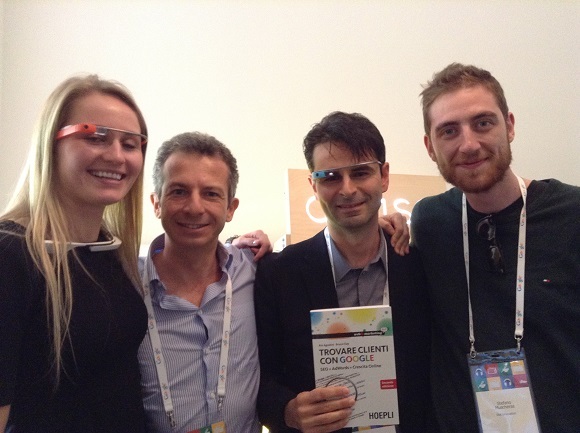 Attendees will also receive the latest Italian book on SEO authored by Bruce and me (which has been ranking number 1 on the Amazon.it bestselling books list). 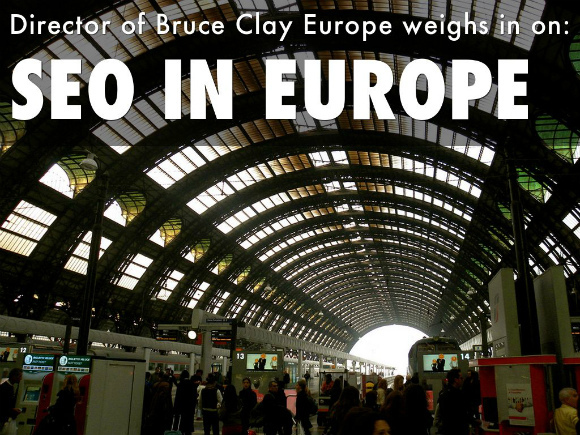 The last time Bruce Clay gave an SEO training in Italy was 2012. What stands out in your memory of that experience? People loved Bruce’s training for the quantity and quality of information he shared. The Italian national TV network RAI (similar to PBS in the U.S.) came to interview him and review the first edition of our book. I’m sure that the 2014 Bruce Clay course will receive similar attention and the same positive results. How can this Bruce Clay SEO course help European Internet marketers? The first time I attended Bruce’s training (2007), I had to fly over to the U.S., which is not cheap if you fly from Europe. Our July 2–3 training will bring people from all over Europe for this opportunity that’s closer to home and focused on EU markets. Bruce has extensive and solid experience in Internet marketing; he is one of the few guys around the world who can clearly explain how search engines and Internet marketing work and how to take full advantage for your business. 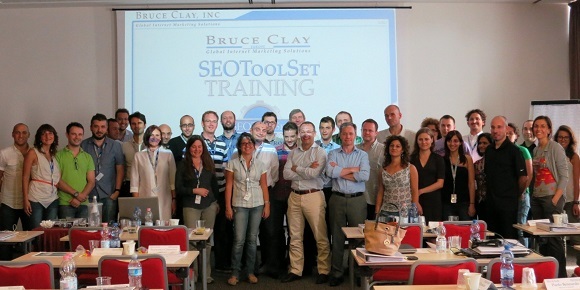 To learn more about Bruce Clay’s SEOToolSet® Training in Milan, visit Bruce Clay, Inc. Europe. Ale Agostini can be found on Google+ or Twitter. Good interview. That said, this is literally the exact same thing any successful internet based business that does SEO needs to do, with minor idiosyncrasies like the right to be forgotten, but who knows how that plays out.